Job openings, a measure of labor demand, tumbled by 538,000 to a seasonally adjusted dropped 7.1 million, the Labor Department said in its monthly Job Openings and Labor Turnover Survey, or JOLTS, on Tuesday. That was the lowest level since March 2018 and reflected declines in several industries. The job openings rate dropped to 4.5 percent from 4.8 percent in January. Hiring fell to 5.7 million in February from 5.8 million in the prior month. Nonfarm payrolls increased by only 33,000 jobs in February, the fewest since September 2017. 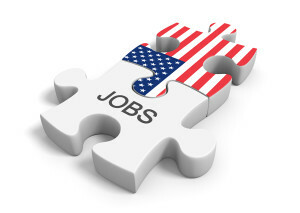 But job growth picked up in March, with the economy creating 196,000 positions, the government reported last Friday.